SAN FRANCISCO--(BUSINESS WIRE)--Cubic Motion, global leader of real-time motion capture and facial animation technology, today announced the first step in transforming the digital entertainment industry with the availability of its technology platform for licensing. Cubic Motion’s computer vision technology empowers producers to conveniently and instantaneously create digital facial animation, saving the time and cost of digitally animating it by hand. 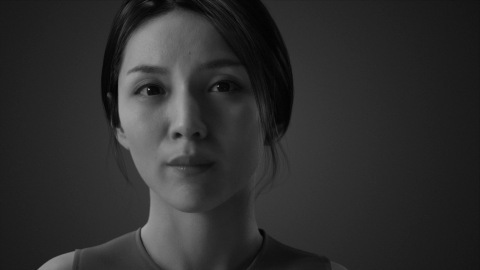 The latest Cubic Motion technology will be used to enable the real-time facial performance of a new digital human personality, codenamed “Siren,” created by Epic Games, Cubic Motion, 3Lateral, Vicon and Tencent, at the Game Developers Conference in San Francisco. This will be featured at the Vicon booth #241 South Hall for a live demo March 21-23 from 10 a.m. to 1 p.m. PST daily. Epic Games will be showcasing the full potential of Cubic Motion’s facial performance capture system, which enables real-time face animation to mirror human emotion. Epic will be unveiling the Siren proof of concept character, driven by a live performer, that will have realistic face and eye movement and the ability to interact with participants. The demonstration at the Game Developers Conference utilizes 3Lateral’s facial rigging technology with body animation driven by Vicon’s motion capture system. Cubic Motion’s highly sophisticated digital humans set the quality standard for real-time motion animation for the entire video game and entertainment industry. Its computer vision technology tracks more than 200 facial features at over 90 frames per second and automatically maps this data to extremely high-quality digital characters in real-time. Cubic Motion’s motion-capture technology allows a live actor to perform within the entertainment and game world in real-time. The technology transforms the production process, allowing directors and producers to see the result instantly and perform continuous retakes, saving time and money when developing games, film, TV and virtual assistants. Ideal for eSports, it also can create outstanding results for live broadcast, allowing new content to be created in real-time and transmitted directly into a game. Cubic Motion is the world leading real-time computer vision and digital animation company providing proprietary performance-driven facial capture technology. The company licenses its products and services for real-time facial animation in video games, films, virtual reality and augmented reality. The company’s award-winning Ph.D. scientists, technologists, specialist animators and producers solve the most complex and challenging problems in computer vision. Cubic Motion's technology analyzes, converts and maps the complex data of human facial performances to create hi-fidelity believable digital humans and characters that are either digitized from video or captured in real-time.